2015 the sixth eX...it! festival takes place already. None of its initiators in 1995 could have imagined that eX...it! would carry on for such a long time. Butoh – what is that? Yumiko Yoshioka and delta RA'i have constantly been asked this question since co-founding tatoeba-THÉÂTRE DANSE GROTESQUE, the first German-Japanese Butoh company, in 1987. This led to the idea of an European Butoh meeting which was held first in 1995. It was called eX...it! and as a result of the huge popularity among choreographers, participants, audience and media, a regular festival has emerged, which is since then a highlight at Schloss Broellin every 4 years. What was formerly a pure Butoh dance festival has today become an eXchange project for Butoh and contemporary dance. Nevertheless the festival is still firmly anchored in Butoh, this Japanese expression dance. The initiators of eX…it! would like to offer with this project time and space for mutual teaching and exchange. Training units are arranged so that dancers of all levels can develop their work further. She founded the art-formation group "TEN PEN CHii art labor" in 1995 with the visual artist Joachim Manger from Germany and the musician Zam Johnson from USA. She is in research of an interactivity between dance and installation with her partners. In the early seventies and eighties, she was a member of the first Japanese women's Butoh dance theater, ARIADONE. Paris "Le Dernier Eden", the very first Butoh performance shown in Europe. dance theatre group "tatoeba - TÉATRE DANSE GROTESQUE"
together with Minako Seki and delta RA'i. As an active member she was touring Japan, Europe and North America till 1994. Besides international tours throughout Europe and North Amrica, she is an art director of the Butoh Related Art Project "eX...it!" with delta RA'i, held at Schloss Broellin every 4 years since 1995.
choreography and art-direction in workshop performance with different levels of participants deserves full acclaim. Till now, she led workshop performance in Berlin, Italy, Austria and North America. In 1978 he started to work artistically with different free-theatre groups as actor, puppeteer, stage- and light artist, technician and manager in Berlin. In 1985 he started his autodidactic studies on dance by experimenting on stage and specializing in the German “Ausdruckstanz” (expressionism dance). In 1986 he started practicing Butoh, studying with Tetsuro Tamura, Akaji Maro, Kazuo Ohno and Anzu Furukawa in Tokyo. 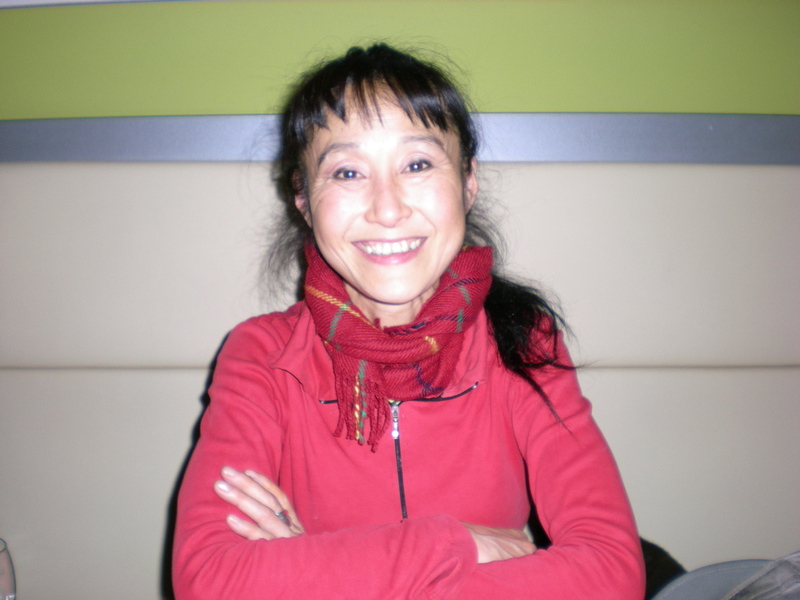 In 1988 he founded tatoeba-THÉÂTRE DANSE GROTESQUE with Minako Seki and Yumiko Yoshioka in Berlin. In 1995 he created "eX...it! - international dance eXchange project". Together with Yumiko Yoshioka he curates and directs this 4-yearly event at the Castle of Bröllin, an art-in-residence centre in Germany. In 1998 he started exploring interactions with dance. 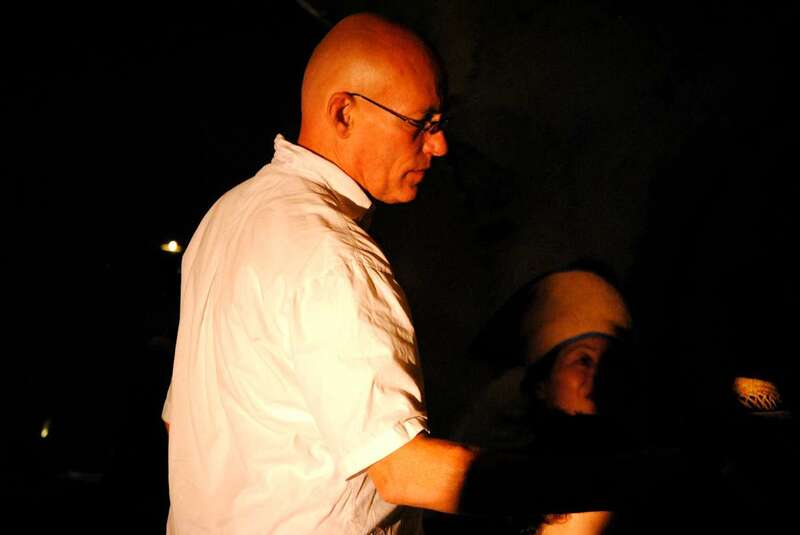 His “Foot Washing Ceremony” presents an interactive public dance-installation for one person (www.feetwash.de) which merges an artistic ritual with wellbeing for the soul. Through Felix he got in touch with Contemporary Dance and participated in interactive performances of Felix Ruckert such as “Deluxe Joy Pilot”, “Ring”, “Love Zoo”, “Secret Service” etc. Furthermore he is producer of the Festival on the Art of Lust - xplore as well as teacher at the board of presenters.